At your first beginners’ session, you’ll alternate short spells of gentle jogging with walking breaks to catch your breath. jogscotland starts with a gentle walk-jog programme for beginners. We recommend that you should be able to walk briskly for around 30 minutes before starting our beginners’ programme. Some of our groups also offer a 10-week walking programme to help you build up gradually to a point where you’re ready to start a beginner’s jogging session. Just go to the Group Finder and search for walking sessions to get started. The best way to start is to use our Group Finder to find a group near you. Contact the jog leader for the group, and they will talk you through everything you need to know. Before taking part in any jogscotland sessions, you need to become a member of jogscotland via our Join jogscotland page.Once you are a member, you will be insured to take part in our sessions. Membership of jogscotland is free, and individual groups vary in their charging, but all aim to be affordable. Many groups are free, while some charge a small amount per session, or per 10-week block. Depending on the group, this money might go to the jog leader for their time (for example, if they are a self-employed personal trainer), to the gym/leisure centre that employs the jog leader, or if the leaders are volunteers, into group funds to pay for things like T-shirts, event entries, social events, or donations to local charities. Ask your jog leader how things work at your group. 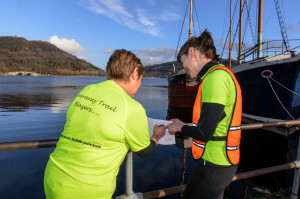 What happens at a jogscotland group? You’ll enjoy yourself! 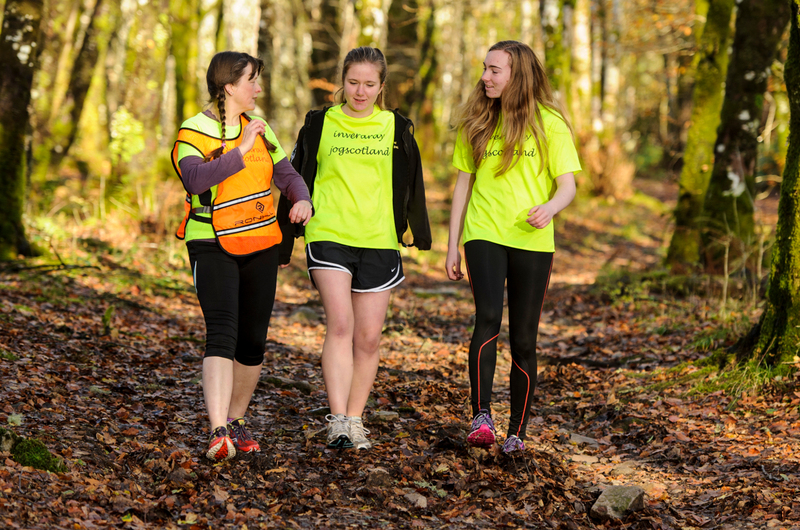 The most important thing about jogscotland is that it’s designed to be fun and friendly, so everyone is supported to exercise at their own level, including complete beginners. Before your first session starts, your jog leader will chat to you and find out what your current fitness level is and whether you have any particular goals or fears. They will ask you to fill out a confidential form explaining any injuries or relevant health problems. Your session will start with a gentle warm-up session to get your body ready to exercise, followed by a jogging session tailored to your level. If you’re a beginner this will alternate gentle jogging with walking. jog leaders make sure that nobody gets left behind – whatever your speed or fitness level, you’re an important part of the group. You’ll finish with a cool down where you can stretch your muscles and bring your heart rate gently back to normal, and perhaps enjoy a chat about the session. Each week your jog leader will encourage you to jog a little further or faster, and before you know it you’ll see big improvements in your fitness and achievements. A cool-down and stretch at the end of your jog also gives time for a chat about how the session went. Our jog leaders hear this all the time from new or potential members, who are worried that they’ll be too slow for their jog group and will be embarrassed. Their fears always evaporate when they attend their first group and find out that everyone else is in the same boat! 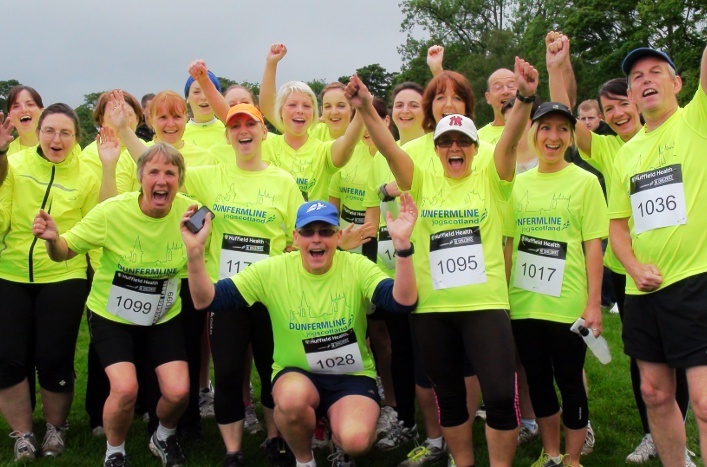 jogscotland is all about supporting everyone who makes the effort to get active, whatever their speed or fitness level. 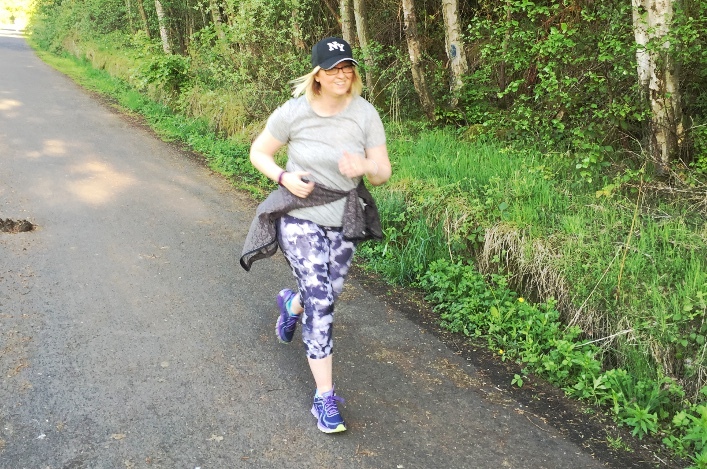 Lots of people see joggers in the park wearing brand new, high-tech kit and fear they’ll be embarrassed if they turn up to jogscotland in their baggy joggers and an old T-shirt. Don’t worry – at jogscotland we’re not here for the fashion parade! We do recommend that if you decide to stick with your new-found jogging habit, you visit a specialist running shop so staff can advise you on buying a good pair of running shoes. Women are also advised to buy a good sports bra. But apart from that, whatever you have, and whatever you feel comfortable in, is the right running kit for you.